Selecting and buying furniture for kids can be an exciting task for both parents and kids. A lot of planning is required to choose amazing and best kids furniture such as it involves selecting a theme, designing a room, deciding the type and colours of furniture that would please your kids and lots more. The vital thing to be considered when choosing the new furniture is the significant fact that the kids are constantly growing and thus, you need to buy the furniture’s that can be utilized for a considerable period. The furniture must also be sturdy and must be capable of holding out efficiently to rough handling and use that is to be expected from small kids. A balance between longevity of the furniture and cost must be considered and also it is vital to choose based on your kid’s desires. The significant items of furniture that makes up your kids room are a table and chair set, the bed, bookshelf, dresser and lots more. All these items should be purchased to complement well with each other. Another vital aspect to consider is not to buy too many items, which would hinder the kid’s free movement, as they need enough places to move around and play in their room. 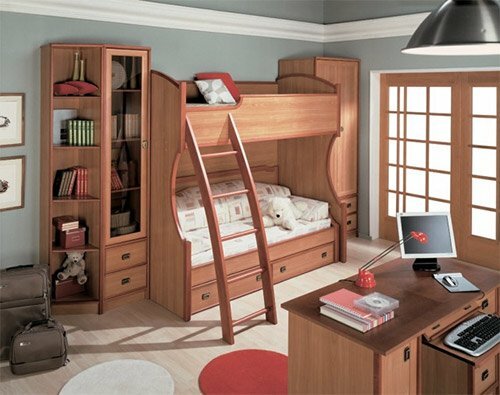 It is a smart idea to incorporate a bunk bed to the essential furniture list, as this is one thing that kids love as they can spend happy time with their friends. There is also a requisite to visualize how your kid’s room would look with essential furniture in place prior purchasing them. With so much myriad varieties with modern and trendy designs that are to purchase, it is truly a daunting task to make the best choice. It is vital to furnish your kids room with essential furniture. The way that a kid feels can be largely affected by various things (moving with children). The furniture is one such thing that must be used to décor your kid’s room. Kids often love adventure, as said previous bunk beds can be a vital place to play with their friends. Bunk beds are not just functional but also fun as well. If you have two kids who share their room, then such beds are the idyllic choice to have. Furthermore, these beds also enhance the beauty of the room. Moving to USA is also a good opportunity to change you kids furniture especially when it is time to send them to school for the first time. So another must buy furniture for kids are the tables, which can aid with your child school performance and even proper development. The way you child perform in school can have a link to the furniture in their room this is because a good ambience and having a table or a desk that is specifically designed for kids can create study environment and aid them in their school performance. Giving your kid, a table of their own can motivate them to do their homework. Furthermore, familiarizing your kid to sitting at a table for completing their task can aid in their proper development. Incorrect seating and improper posture can affect your child’s health. These play a vital role in their lower backache. Getting tables and chairs designed for kids is the best idea to keep child’s posture good. Sitting incorrectly might later lead to several problems. Your child can feel happy by sitting at kid’s chair rather than sitting at adult’s chair. It is also imperative that you must buy the colourful furniture’s to gratify your kids. They love colourful furniture. The look and design of kid’s furniture are also imperative. The visual facet of kid’s furniture must be vivid, fun and colourful. You can get a wide assortment of furniture for kids that come in varied attractive shapes and designs such as car shape and lots more. This type of fun furniture is great for kids as they can play with them and have fun at home. The colourful furniture can uplift your child’s mood levels and even make them feel happier. When choosing, especially kids furniture you must be cautious as you need to delight your kids and also it is beneficial to have essential furniture for kids. You can also consider buying outdoor kids furniture, as kids love such furniture’s as they can have fun and play with them. In present times, there is much modern furniture for kids that are trendy and having attractive designs. There are vital factors that you must consider when buying the furniture and the most significant one being safety; you must look for the furniture that is properly designed for kids. You must avoid buying furniture’s with sharp corners or edges. You can find great varieties of kid’s furniture available in the market nowadays. Prior buying do some research and compare the prices offered by the various retailers on kid’s furniture and buy the one that is affordable and made of good quality materials and are durable. 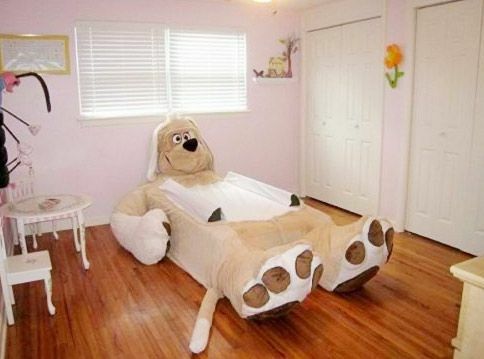 Thus, it is imperative to select the furniture for kids carefully. If you are planning to relocate you and your kids may want to take their furniture with you. Some children have their favourites beds, towers, wardrobes or garden furniture and can not imagine moving without them. We are the right company that can take care of shipping furniture to the USA. In many cases arranging the new room for your kid in exactly the same way as it looked in the old home can make your child feel better. It will help your kid to get used to the new house quicker and with less stress. This also mean more time and less problems for you as you will not have to spend all your time persuade your offspring the new situation is better.